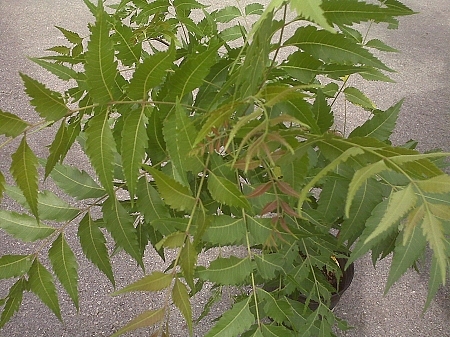 3 Gal - Approx 36"
7 Gal - Approx 48"
The Neem Tree has so many good things to say about it. The Neem tree is such a wonderfully medicinal tree and a beautifully shaped tree as well, it's a shame not to have one. Your tree will be shipped in the pot on a Monday and arrive within days.